Megan K Hofmann, Gabriella Han, Scott E Hudson, Jennifer Mankoff. 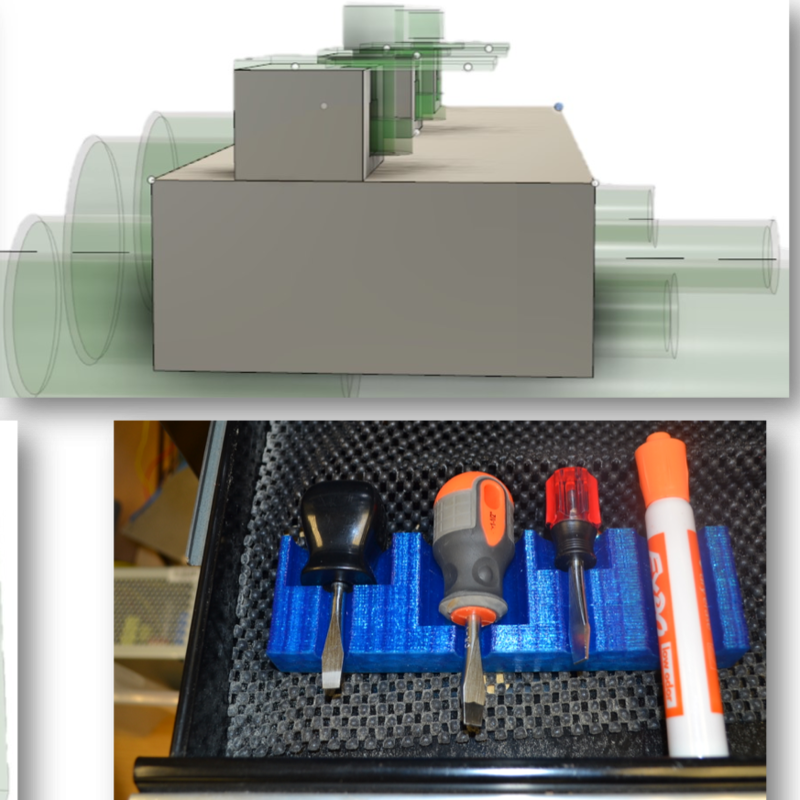 Greater Than the Sum of Its PARTs: Expressing and Reusing Design Intent in 3D Models CHI 2018, To Appear. With the increasing popularity of consumer-grade 3D printing, many people are creating, and even more using, objects shared on sites such as Thingiverse. However, our formative study of 962 Thingiverse models shows a lack of re-use of models, perhaps due to the advanced skills needed for 3D modeling. An end user program perspective on 3D modeling is needed. Our framework (PARTs) empowers amateur modelers to graphically specify design intent through geometry. PARTs includes a GUI, scripting API and exemplar library of assertions which test design expectations and integrators which act on intent to create geometry. 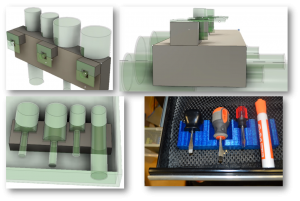 PARTs lets modelers integrate advanced, model specific functionality into designs, so that they can be re-used and extended, without programming. In two workshops, we show that PARTs helps to create 3D printable models, and modify existing models more easily than with a standard tool.